I got home to bunches of email inquiries from brides. "I easily spoke to over 300 brides and I know my minions spoke to just as many a (there were 3 of us). I am so excited because I had not even left the show and I had brides calling me to set up meetings." - Torri Koppenaal, Black Raven Imagery, LLC. My email inbox is overflowing with new leads. "The ACS Bridal Expo was a huge success for my team. We were exposed to thousands of newly engaged couples over a two day period and my email inbox is overflowing with new leads with wedding dates spanning the next three years. This is definitely the largest and most beneficial expo of the year." Your show turned out to be the best investment I could have made! "I am predicting I will do more business from this show alone than I did all of 2014!" "Many bridal show promoters exaggerate the amount of brides they expect to come into a show. However we were pleasantly surprised that the American Consumer Show did not exaggerate their numbers!" Always have a good turn out. "I've been with this expo for a few years now and must admit that they advertise this very well and always have a good turn out." Opportunity to market and develop our business. "As a start up, the bridal expo provided us with just the platform and opportunity to market and develop our business. We find them recommendable." "I just wanted to share how pleased I was with the Bridal & Wedding Expo in New Jersey this weekend. The show was very well organized. I look forward to next year's show already." We spoke with over 100 engaged couples. "Take Care Package had a great time at the 2017 New Jersey Bridal & Wedding Expo. We spoke with over 100 engaged couples and were able to network with some other businesses while we were there." I almost lost my voice! "Wow! This is the greatest Expo ever. What a spectacular show...we ran out of supplies." Many new bookings for the coming year! "ACS puts on an amazing show, delivered on their promise to market to the entire metropolitan area and welcomed hundreds of brides." Best turnout I have seen. "I want to let you know I work a lot of bridal shows with Men's Wearhouse and this has been the best turnout I have seen being a two day event." It was the highest attended bridal show we've ever been to! "There must have been a thousand brides at the show, with many of them interested in our company. We set lots of appointments and have a stack of leads to still work through." I am thrilled by the amount of people. "With the majority of them being brides, I have already booked TWO large weddings and have been contacted by 6 brides. This is all before I've sent out any emails to my leads that I received on Sunday." "We will absolutely be booking a lot of weddings from this." This is the best show of the year! "Super show at the Philadelphia Convention Center. Met amazing people, tons of happy couples." We were excited to hear that over 1500 brides were registered before the doors even opened. "The event allowed us to talk to hundreds of brides and grooms looking for honeymoon or girls get-away." "This was our first time doing the ACS Illinois Bridal & Wedding Expo and probably one of our most profound experiences with doing trade shows." We will be here every year! "Excellent venue, good attendance and well organized." We loved being a vendor! "We couldn't believe how many brides attended the event. It was the most worthwhile show we have ever been to. We will definitely participate next year." "The ACS bridal shows are truly an exceptionally higher caliber than all of the rest. The quality of the leads, the length of time of the shows and the professionalism of the team's communication sets this show apart." Everything was very well organized and worked smoothly! "Not only were there so many Brides there, but they were Brides that wanted to have meaningful conversations about their wedding invitations." Great show with great brides. "We are very happy with the leads we received from this show." "Longwood Travel signed up on the spot to do the show January 7th and 8th 2017 and we just got the list a few days ago with over 2000 names. Just incredible, and as of this morning we have already booked 1 honeymoon and we are working on 6 others." "I want to thank you for an amazing show. We had such a great time Djing and entertaining the brides." Working with ACS has been incredible! "The turn out for the event and marketing has been nothing short of amazing." "What impressed us the most is how well you were able to advertise to the brides. I know from speaking with clients that everywhere they turned they saw another advertisement for your bridal show. The marketing was AMAZING!!!" We had terrific traffic to our booth. "It was our first time exhibiting and we were rather late in the registration process, but it proved to be a wonderful way to introduce prospective couples to our venue. We had terrific traffic to our booth and were able to talk with solid leads." "Within hours following the bridal show we began to receive an overwhelming response from attendees looking to get more information and place orders with our company." "I've done quite a few shows over the years and the traffic and client engagement at this show has been phenomenal." "The experience and turnout has been phenomenal! Vendors were even running out of samples." "Even with the horrible snow storm on the 6th we had 2 bookings at the show and I have had 7 phone calls just this week alone." "As such, we have already signed up for next year's show. See you there!" "This was our second year participating and it's always the number one bridal show for us. Last year we booked many clients and we expect nothing less for this year." We generated many promising leads. "This was the first expo we've done in 5 years. We decided to give it a go and I'm glad we did. We're in for next time, for sure." "It was a great opportunity for our band to show what we have to offer to newly engaged couples at their weddings." Looking forward to many years of working together! "I want to thank you for producing a successful show. We were reluctant to sign up given that you are a new show in the area, but having just finished the show I can tell you that it was one of the best decisions I have ever made." We collected info from over 200 brides. "The show was very well attended and organized. It was a fun show and the brides really enjoyed themselves." "We had a wonderful event. Lots of weddings booked!" "I am booking weddings from last year's show. The brides are real. True, qualified brides. ACS promotes the show very well. I will be back every year!" Fantastic event for my company! "From the minute the doors opened until the end of the day, the venue was packed with eager brides. I almost lost my voice speaking with so many engaged women." "The show is always a huge surprise! The brides are delivered as promised. Like no other show in New Jersey." "This by far has been one of the best shows we have done, and we really connected with many qualified brides and grooms. When we returned to our office, we already had 10 emails, and more continue to come in. Thank you for a great show and we will definitely see you again next year." Had to bring in extra people to work the show! "Wow, were we blown away by the response. The show was way busier than we expected. Not only did we run out of supplies, we had to bring in extra people to work the show on Sunday. We were busy from the minute the doors opened until the end of the show; amazing!" 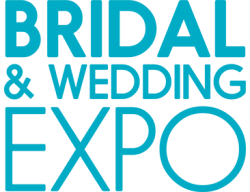 "The Bridal & Wedding Expo is a high quality show with great attendance. We always feel confident investing in this bridal show, as it is a cost-effective way to promote and increase business. Your Bridal & Wedding Expo is one of the best!" We wrote $20,000 in contracts! "I want to thank everyone from American Consumer Shows on behalf of my staff & myself, for hosting and promoting one of the most attended bridal shows my company has been involved with in the last 20 years." "Lots of traffic for me to promote my business." "In all of our years, we have yet to take part in a show as well-attended, with seriously interested registrants and attendees, as the ACS Expo 2016!" "This isn't our first bridal show and as far as these events go, this one was smooth and easy." Everything was really beyond our expectations. "Since the expo we have been able to reach out to thousands of potential clients. We will for sure be there next year." The best bridal expo show! "The show was very well organized overall, two days, (not one) of brides flowing in, which was awesome." "It definitely was the right decision for us at Phase4 Music to be a part of ACS' Illinois Bridal & Wedding Expo and we are looking forward to a repeat!!!" "This is the busiest show for us so far this season of 2017. The staff was so helpful with set-up too." "This was our first Bridal & Wedding Expo and we loved every second of it." "The turnout was absolutely incredible! The number of hot leads was astounding. There were brides and grooms here ready to book. If you want to book bridal business, come to the ACS Bridal Expo." The Bridal & Wedding Expo was amazing! "Bridal shows are very effective, especially because they allow you to capture leads quickly, contacting clients right away." "Best Bridal Show in NJ! Solid attendance and great value." Non-stop traffic from start to finish. "This was one of the best bridal shows we have attended. We can't wait for our next bridal show with ACS." We had a steady stream of brides and grooms. "The Georgia Bridal & Wedding Expo has been a great success for us." Their advertising really worked well. "Doing their first show in Tampa, they did an amazing job of attracting a large volume of brides. Their advertising really worked well." I have signed up for next year already. "The trade show was fantastic. Great traffic, tons of brides and grooms, and nice quality of people." "Great way to connect with brides and grooms in the Tucson market!" "Great venue - Brides as far as the eye can see. Worth every penny." The exposure I gained from this show was invaluable. "While it will take several weeks to measure the full return on investment, I can say that I received approximately 150 warm leads from visits to my booth and handed out about 900 business cards." There was a great turnout. "Thank you for the opportunity to bring our limos into the show, people loved it." "We were shocked by the number of brides that kept coming through the door at the Bridal & Wedding Expo. Can't wait to come back next year!" "The Pennsylvania Bridal Expo was on fire! Amazing leads and an awesome atmosphere. Not to mention that there was impeccable organization. Everything was in place and everyone was so accommodating. This was a wonderful experience." I can't wait until the next show. "The Georgia Bridal & Wedding Expo was a great experience as a vendor. We were able to interact with some great, qualified brides and were even able to book a few on the spot." We booked brides and secured contracts. "We fully believe we will obtain a ton of bookings for this year as a result of our involvement with this expo." "The Bridal Expo was such a tremendous opportunity to connect with so many brides. We were overrun with potential clients. Truly worth the investment." "Beyond Awesome! We've been doing bridal shows for 6 years and this show has been by far the most well attended, organized and accommodating. I was hesitant at first to do this show, but I am so thankful that I did. Well worth the investment! The most important advertising I did all year." "The quality of couples at this show was top notch!" "Great traffic, well organized and easy move-in! Got 63 leads on the first day." "This show has been nothing short of amazing and has exceeded all expectations. I can't wait to see the growth and success as a result of this show." 100% of my business comes from bridal shows. "I was honestly blown away with not only the quantity of brides and grooms, but by the eagerness of the couples to talk, ask questions and to set up consultation or wanted to book." "We do over a dozen shows a year and this was by far the best attended and organized. ACS did a great job of communicating and organizing with the vendors. We look forward to many more successful shows with ACS in the future." We have thoroughly enjoyed being part of this show. "The amount of brides was great, but we were most pleased with the quality of brides as well." "The show was packed with brides we would have been unable to reach otherwise. The advertising and turnout were even more than expected. We would definitely be interested in exhibiting with American Consumer Shows again." "I think the event was very well thought out. Great flow of brides throughout the day." The Bridal & Wedding Expo is one of the best shows I've been to in a long time. "The flow of new brides was very steady and the level of interest in my service was in good proportion to the number of brides." What a great show, WOW! "I've been doing bridal shows for years but I must say, this was one of the best ever." I got to meet with so many brides and other amazing vendors. "I had an amazing experience showing at the Tampa Bridal & Wedding Expo." "I am so grateful you were persistent in getting me to do the Georgia Bridal & Wedding Expo." Our booth was so crowded! "This show was a 100% success! This was my first show and the amount of brides that came through the show was insane! At times our booth was so crowded I had to stand outside of it." "As a new business owner, this show brought a lot of exposure to my business and allowed me to reach a lot of people in one venue." There was a very diverse crowd here today, we loved it! "The overall energy of the entire event was engaging, energetic, lively and fun." "Great job on all of your advertising and getting all the brides to attend the show. All in all, a great show and I hope to get many bookings out of it." Tons of vendors and great foot traffic. "So many brides were interested in how their groom could get pampered. The expo overall was a great success." "Exposure for your company - expect to secure at least 5-8 new bookings!" We interacted with so many couples. "We've done a number of bridal shows and the Georgia Bridal & Wedding Expo exceeded our expectations." Beautiful show with amazing feedback! "We probably had between 50-100 people sign up to be called back for more info on the wedding officiant and weight loss meal program we have going on." "Great bridal show with better turnout than I've witnessed from other shows. Good, quality brides and the show was promoted very well." This has been by far the most productive bridal show we've ever done in nine years. "It has been great not only in leads but in actual sales too. See you at the next show." "The Albany Bridal & Wedding Expo was such a success! Definitely one of the top shows in the Capital Region." This expo has allowed us to get hundreds of leads. "We hope to be a part of the Bridal & Wedding Expo every year. Every inquiry was a serious inquiry." "The North Carolina Bridal & Wedding Expo is an amazing event for those in the industry to market their services. As a bridal industry professional, you couldn't ask for a better platform to market. Just two short weeks after my first expo and I've booked over ten clients." We are so happy with the quantity of brides as well as the quality. "With a staff and show like this, other shows in Chicago need to take notice. This show has raised the bar for all others in Chicagoland to a new level." - Buddy & Tracy Mueller, T.B.M. The turnout far exceeded my expectations! "My photography and videography company has exhibited at over 100 bridal shows for the past 8 years. The show I just did at the Shriners Auditorium in Wilmington MA, put on by ACS, was the best one I have ever done." We connected with a ton of brides. "We connected with a ton of brides and are excited to see the results. We have already had some bookings and look forward to many more." The Georgia Bridal & Wedding Expo was incredible! "We have participated in other bridal shows in the past and can honestly say that we saw the most genuine brides that were truly interested in what we have to offer." I ran out of business cards! "Finally a wedding show that delivered 2,000 brides and many more guests! I ran out of business cards, I thought 1500 cards would be more than enough. Brides came from all over metro Boston, VT, NH and RI. Worth the price...already signed up for next year." "We have participated in a few Bridal Expos over the years but this one was one of the best and most successful!" Thank you for allowing us to be a part of this bridal show!!! "It was a great, and I mean great experience. The Bridal & Wedding Expo did a great job with marketing to potential brides." "There was a big turnout and I believe it was a great success!" We had so many people at our booth! "I wanted to thank you for contacting me last year and convincing me to do the Bridal Expo. We had a great show this weekend. We had so many people at our booth that we were amazed. We were able to collect a very good number of leads really interested in our services." "On the first day alone, we booked many solid leads. The amount of couples that came through the door kept us solidly slammed for the majority of the show. Our booth seemed to be so popular with potential clients that we ran out of samples halfway through the show on Saturday." I have to eat my words! "We were a little dubious in committing to this Bridal Show at Shriners Auditorium. We were told they were going to get 1400-1500 brides. I have to eat my words. They did a fantastic job getting the word out." We will most certainly be back in 2018. "Having never participated as a vendor in a bridal expo, we really didn't know what to expect. We were pleasantly surprised with how wonderfully the show was put together." The Bridal & Wedding Expo was very well put together. "They also produced more leads than some of the other shows that we have taken part in." "BEST BRIDES IN THE CITY!!!" "I have to say, the Tampa Florida Bridal & Wedding Expo has far surpassed all of my expectations and it will be my number one source of viable leads from now on." This was the best wedding show I've participated in. "We wrote over 40 leads and signed a bunch of brides at the show." "Ray, Nicole and Patti were so helpful and we were very pleased with the turnout at the event." "Spoke to quality brides! Will definitely be back again!" "Well organized and friendly people. Great open environment." We talked to hundreds of clients! "The Bridal Expo was a BLAST!!! We talked to hundreds of clients during the 2 days of the show. I'm 100% sure that we will book many weddings and events from the show." "I had second thoughts initially, so many promises from others went unfulfilled. I'm so glad we came, expectations were exceeded and there were brides galore. Great Expo!" "The traffic flow was steady and we had a great amount of time to speak with our clients. Great location!" "Great show! Traffic was awesome!!! Well worth the money and investment." - Tuesdi Kelly, Soiree etc. "Fantastic show! Great attendance and flow throughout." "Thanks for hosting David's Bridal at this fun event. Really great energy and loved meeting all the brides." Opportunity to help brides and grooms. "We appreciated the great staff and the opportunity to help brides and grooms with their catering needs." "First thought to come to mind...WOW!" We were very happy with the crowd. "We were part of the Georgia Bridal & Wedding Expo the first year it came to Atlanta." "There is no way we could have prepared enough folders to give to everyone. We ran out after just a few hours on both days." The Georgia Bridal & Wedding Expo allowed for us to connect with brides. "The Georgia Bridal & Wedding Expo allowed for us to connect with brides, mothers and bridesmaids who relate to our BHLDN collection which offers unique gowns, dresses and accessories." "Our location was perfect. Staff was friendly and helpful. Always around in case of need. Attendance was good, we can only imagine how it will grow through the years." Brides and grooms come to you. "An exciting and high energy, two full day show of marketing our wedding and honeymoon destination." "I think the show was good. Lots of people, lots of interest." - Barbara H. VanSchoick, Bridal Rose Btq. A steady flow of couples. "I was pleased with the way the show ran from start to finish. The weather on the first day was not good, but there was still a good attendance." "Thank you for a great event with a great turn out!" We enjoyed our experience at the Bridal & Wedding Expo. "We met a variety of guests, brides, grooms, wedding parties and even friends!" We are pleased with the number of brides. "Very busy from 11am - 3pm. Great organization, very friendly and helpful staff." The Florida Bridal & Wedding Expo was a wonderful experience. "Very well organized and we are excited to attend future events." Great number of potential leads. "We could not have asked for a better booth location." "We got a tremendous number of leads." Wonderful people, nice atmosphere and fun! "Had a great time meeting lots of enthusiastic brides at the Bridal & Wedding Expo." Easiest shows to work with! "This was our first time doing this show. I would have to say this was one of the easiest shows to work with. They kept their promise of brides coming into the show, ease of load in and set up." "What a great experience at the NJ/PA Bridal Expo. I had 30 solid leads and one deposit on the first day. Can't wait to see what day two brings." We were shocked beyond belief! "This show delivered above and beyond our expectations. It couldn't be better." We found this expo to be very successful. "The exposure that we received from this Bridal & Wedding Expo was very beneficial to our growing business." Traffic to my booth location was wonderful. "Looking forward to seeing the amount of leads that will come through." This expo gave us great exposure. "The Georgia Bridal & Wedding Expo helped grow our business with our catering market." "It was so much fun. Lots of interest in our products, lots of brides and a good audience." We can't wait to participate again next year. "Dance Spa is proud to have been a featured vendor at this year's expo and is looking forward to working with the wonderful couples who attended." "Got a lot of exposure for our business. Everything was easily accessible." "The sheer number of brides that passed through and into my booth was truly astounding, both Saturday AND Sunday." We will attend all of the shows from now on. "Congratulations on a great show. See you guys again soon." It has been a breeze working with American Consumer Shows. "It has been a breeze working with American Consumer Shows for this Bridal & Wedding Expo. The turnout for this event was very good and I can only imagine the increase year after year moving forward." "This experience was too amazing for words but all I can say is...Totally Worth The Money!!!" I really enjoyed being a vendor at the Illinois Bridal & Wedding Expo. "Although I was extremely stressed when I arrived, the staff was very hospitable and helped me get situated which made me feel very comfortable and at ease." Wonderful to be a part of. "There have been many couples, parents and parties that have shown interest, which provides great exposure. We are definitely interested in coming back in 2018." We got a lot of exposure. "This was our first time exhibiting and we were very impressed with the organization." More leads than I expected! "This was my first bridal show ever and the staff was very supportive and accommodating. I generated more leads than I expected and will surely be exhibiting next year." "Quality leads. We will be back." "The Georgia Bridal & Wedding Expo connected us here at Loft at Castleberry Hill to potential brides and was a good show." "We were very pleased with the turnout for the show. The show organizers were very easy to work with." "As a vendor, I am looking for quality brides and grooms. ACS never disappoints." We have received more interested contacts than any other show. "We have benefitted greatly by participating in the Illinois Bridal & Wedding Expo!" "What an amazing show. We loved all the beautiful brides and received so much help from show coordinators." "Awesome show today at the Bridal & Wedding Expo in Atlanta. I received quite a few real good leads." "We were very happy with the number of potential customers and turnout." "Just fabulous from the start to the finish! Thank you for bringing this wonderful show to the Albany area." - Douglas Koch, Douglas Koch Designs, Ltd. This show was a traffic success! "With a consistent flow of people, I was busy enough to get personal with potential customers and make better connections with them, me and my product." "This was a fabulous event for us. The booth was well placed so the foot traffic was great! We actually even ran out of raffle forms and had to improvise. I highly recommend this event." "There was a healthy mix of brides getting married in a few months, to a few years. I filled my calendar and I'm excited to see my little business grow." "I had a wonderful experience with lots of brides. Great response from the crowd." "Awesome turnout! Lots of quality vendors!! We booked over 20 appointments. I will definitely do this show next year." "This is the first year we are participating in this show and we cannot wait for next year! Amazing organization, great location and so many brides! AWESOME!!!" "Thank you for a great show! During the entire process, from booking to break down, your staff's communication was impeccable." "Exciting and vibrant event! Loved interacting with all of the beautiful future brides." "We had a huge turnout with well qualified brides. We booked more appointments than expected!" We were very pleased by the outcome. "We had a great time at the Albany Bridal & Wedding Expo. We had many people come over to discuss South Africa." My booth stayed busy until the end of the day! "I had a fabulous first experience at the show. The number of brides far exceeded my expectations. My booth stayed busy until the end of the day. Next year I'll bring even more materials to give out." What a great event in Albany on Sunday! "As a first time exhibitor, I had a great experience and was able to really expand my network and share my business with so many new potential customers." "Over 200 bookings so far. Great traffic flow and very interested consumers. Can't wait for next year!" We had a lot of visitors. "The Albany Bridal & Wedding Expo was great!" "We were able to speak to at least 300 brides in person and started our relationship with them there. The brides that we have been in touch with so far have been extremely receptive. It's been a real boost to our businesses!" The turnout and the brides were great. "We had such a fantastic experience with the Illinois Bridal & Wedding Expo! This was our first show and we were very impressed with everything." We absolutely appreciated the opportunity. "We absolutely appreciated the opportunity to meet hundreds of potential customers who could all benefit from what Pure Romance has to offer, while helping our families by expanding our business." "This show was fantastic and well organized. Very glad to be a part of it. Looking forward to doing it next year too." "It was such an honor to be able to connect with your brides, grooms and their support teams, especially during this wonderful time in their lives." "I feel the expo was worth my time and effort. I look forward to the growth of my business through the contacts and exposure." "Firstly, we were pleasantly surprised at how well organized the event was. Super easy to unload, centrally located among hotels and convenient." The Georgia Bridal & Wedding Expo was very successful. "We had a great time with the ACS show company. The whole process, from booking to loading in, was a breeze." We really enjoyed being in the Bridal & Wedding Expo. "The couples were wonderful and they were amazed that a weight loss clinic was at a bridal show. Many people were happy we could help them get healthy." I am very pleased with ACS. "The process was very easy to become a vendor. From the moment the doors opened, until close, we were very busy with prospects." "We had a fabulous time at the Bridal & Wedding Expo. It was great meeting all the brides to be and inviting them to Lips for a bachelorette party." The most leads we've ever generated! "The PA Expo this weekend surpassed all of my expectations. By far, the most leads we've ever generated at a show. Well laid out floor plan and very organized." The show overall was great! "The large turnout of brides made the show a huge success. We look forward to attending this show again next year." Can't wait to be in the next one. "We would like to tell you thanks for your hospitality and for the great show you had. The crew was great and the brides were happy." Load in was a breeze! "ACS did a great job marketing. We heard commercials on multiple radio stations at least once an hour. The foot traffic is 100% worth the booth fee. We are very happy with attendance and will definitely be back!" "GREAT SHOW! Very organized and lots of brides. Great turnout, will definitely be back next year. Thanks guys for an excellent show. I will definitely recommend your show to other exhibitors."